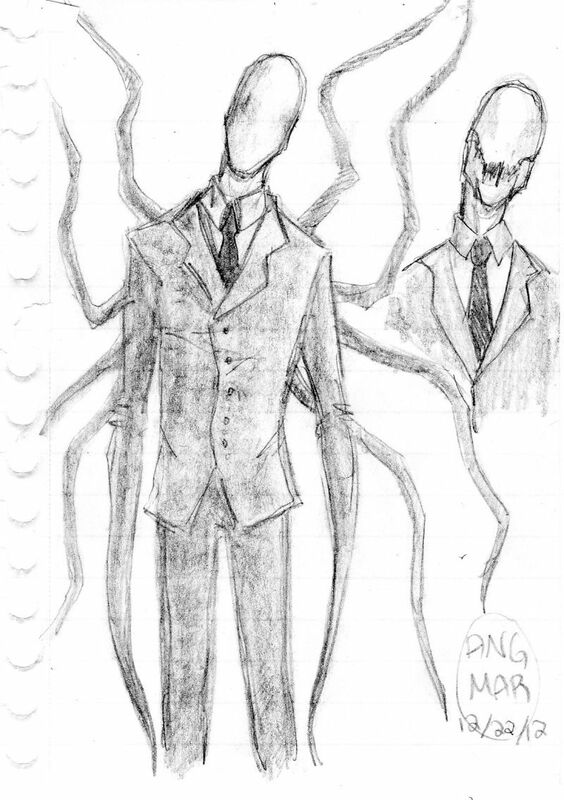 i watched through those and i really love them ^^ You have a very good drawing style and i really like the poses you give the slenderman, especially the one on the attack! The only thing i'd for improvement say is you could try to add some more details and shadows to your Artwork, but i already think it's great the way it is ^^ I'd definately like to see more! I haven't drawn anything for a while but i might give it a go for slenderman soon, so maybe I can post something here in a few days!! I love the way you draw Slenderman's hand grasping out toward the viewer, and the "There Isn't Enough Face For All The Facepalm" picture is just awesome. Your drawing style is great! Draw more! I love your Slendy's lines of action as well as his tendrils. His tendrils are just...everywhere. I also appreciate getting a good story per picture. You can really set a scene. Warning: concept art, failed story ideas, some are quite silly/lame. I love your Slendy's lines of action as well as his tendrils. His tendrils are just... everywhere. I also appreciate getting a good story per picture. You can really set a scene. I love, love, love drawing Slendy's tendrils! They're just so abstract and so much fun to make writhe, curl, and bend around, like big flexible noodles or something. They sense as much as interact, they destroy as much as curiously test, they are simultaneously gentle and brutal, sometimes curving lightly as they react to stimuli around him, and sometimes just shooting straight through your ribcage to rip your lungs out. There is something brutally graceful and gruesomely beautiful in the Slenderman's strange and abnormal form, and I always enjoy playing around with the abstractness of it and with Slendy's tendrils in general because I love the surreal, the abstract, and the strange. He's incredibly fun to draw for me! Oh, and I write as well as draw, and have been writing poetry and short fiction (as well as fanfiction, but not the creepy kind) for the past nine years. Started in elementary school and never really stopped after that. So if I'm good at setting a scene, that's probably why. lot for posting this here too ^^I'd love to see more in the future!!! comments are appreciated cause i really want to improve!!! There goes my fanclub membership. I'd say that your girl is just stylized more than he; her hair is actually quite good, just inconsistent with him, unless you were to do his tendrils in the same "cartoony" way, like in the first one. Maybe less shadows. I'd losen your hand up as well; one thing I was advised in school was to not draw perfect lines, but many lines, then accentuate the perfect line when it appeared. This gives a sort of unfinished feel sometimes but it does wonders for the sensitivity of the drawing and the possibilities are endless. In fact, I was told that perfecting my lines flattened the image! Imagine my frustration, as I am a miserable perfectionist at times when it comes to art. Also, I find a line of action and drawing the figure first as a mannequin helps a lot, too. I hope I'm not being overbearing; I love the German, by the way. Are you German/know German? I'd love to know what the picture says, actually. Yeah, it seems like you did some searching lines; I'd just say keep the wrist loose. It's kinda fun. And I hate hands. They're evil. "once you see me you'll never be alone again." I hate hands. They're evil. Oh it is a compliment, Armadeira. ^^ I enjoy creepy things. Wouldn't be here in the vast forest that is this fandom if I weren't. ... Huh. 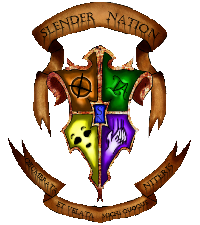 Has anyone ever done a Slenderblog set during WWII? That could actually be really, really fascinating. Also have some more art of mine. And that's actually everything I have for now. I do have some other sketches and stuff but I haven't scanned them in yet. 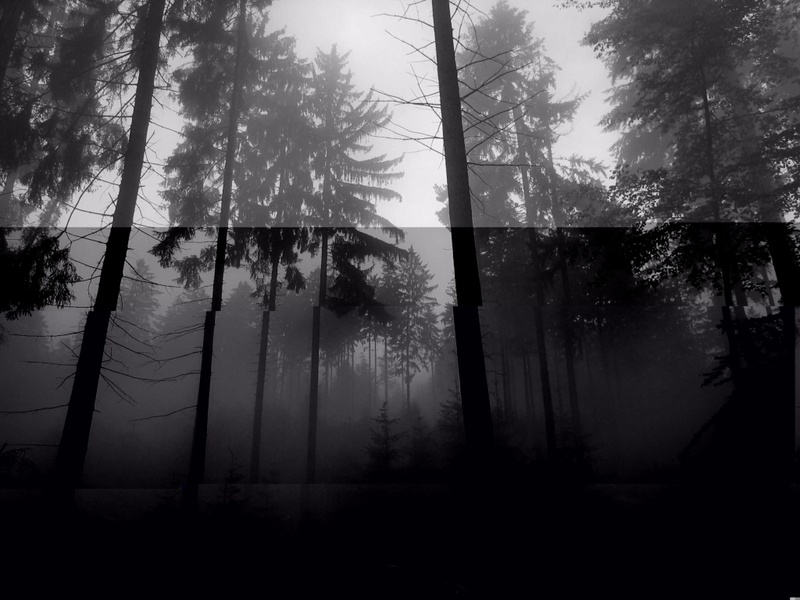 i love the slenderwalk one with the mist!!! Redrew the Quick Operator Sketch recently, so that should be up soon.